Sometimes you need a deadline to get you moving. 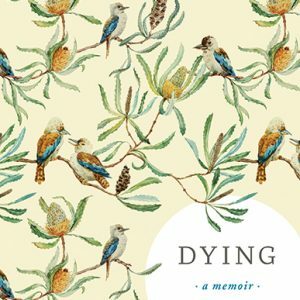 For Australian author Cory Taylor, her diagnosis of melanoma in 2005 became the impetus for an extraordinary burst of creative energy over the next decade, including the publication of several award winning books and her last and final work, Dying: A Memoir. In the recent book review in the New York Times, Jennifer Senior said of this book,” Every medical student should read it. Every human should read it.” With a clear mind and compelling story, Taylor wrote with impressive wisdom about her life and pending death. She also took the time in the last months of her life to sit down with a fellow Australian writer to discuss her thoughts in a podcast about the book and its development. You can listen to that podcast Here. And to read an excerpt of the book which recently appeared in The New Yorker, Click Here.